By asking for whole, real, unprocessed foods we are changing what shows up in our grocery stores. RX Bars are a result of the trend toward food that makes us feel good, and helps without harming us. 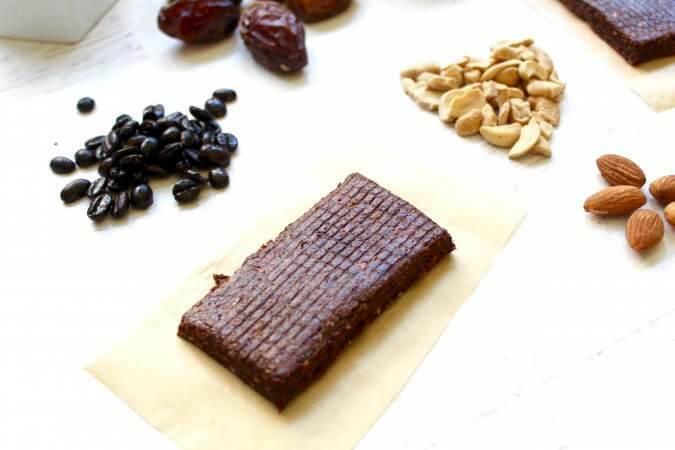 If you haven’t heard, RX Bars are a minimalist whole food bar that contain dates for sweetness, nuts for texture, and egg whites for protein, and sea salt for flavor and essential electrolytes. I first heard of them through Melissa Hartwig’s Instagram (she’s one of my favorites) and I gave them a try. We blew through a box way faster than I anticipated, and I knew I needed to try making my own. The ingredients are listed right on the package, and after a few trial runs and complete flops, I found the secrets to making these bars taste great, hold their shape, and come together easily. There are recipes around the web for similar bars, but they don’t hold up at room temperature. The key to getting a bar that isn’t a sticky mess at the end of your hike or mid work-day is to use the dehydrator to remove excess moisture and slightly caramelize the sugar from the dates. I use this dehydrator weekly, and daily during the late summer when we’re saving produce for the winter. 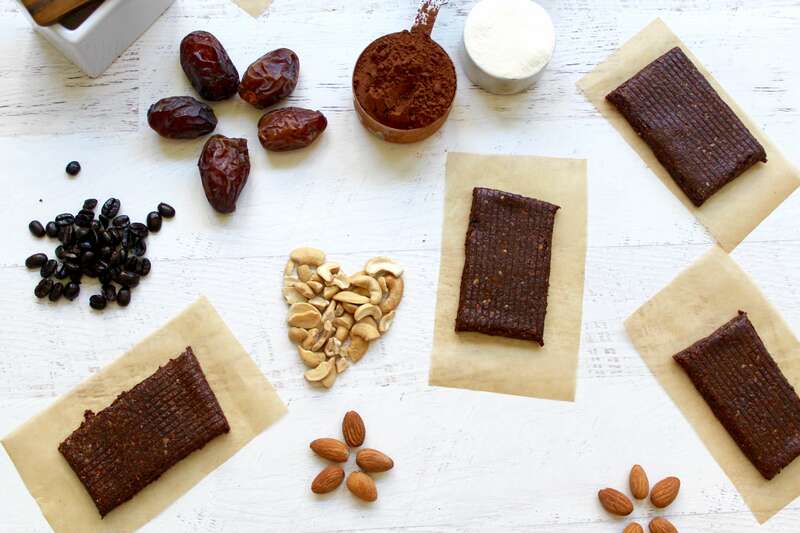 A dehydrator can be used to make yogurt, fruit leather, crispy nuts, dried fruit, and more. I haven’t tried this recipe in the oven, but I think if you baked the bars on the lowest setting of your oven on a cooling rack for about an hour, you would get a similar result. If you try it, I’d love to know how it works in the comments! Rx Bars use egg white for protein. I chose to use collagen (find here) instead, as I prefer to eat egg whites with their yolks. This is also helpful for my many egg-free readers who want a treat. I also soaked and dehydrated my nuts (read more about this here) prior to making the bars. This improves digestibility but is an optional step. “The spirit of Whole30” (read more about Whole 30 here) prohibits baked goods and candy-bar-like foods. I think that these bars are kind of pushing the rules, but technically the ingredients used are allowed on Whole30. Everyone needs to focus on protein, fresh produce, and home-cooked actual meals for the majority of their meals. But some days, weeks, or situations just beg for an easy-to-eat shelf-stable quick source of energy. These bars are perfect for that. 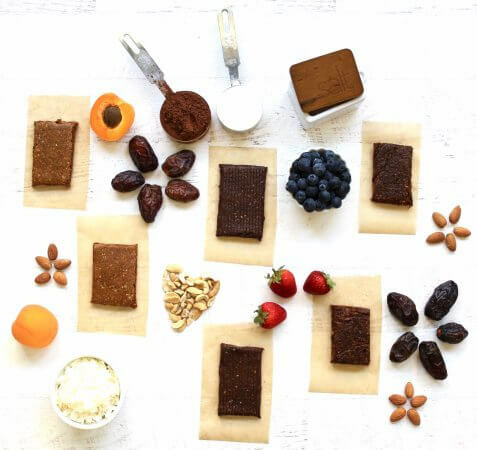 Sweetened with dates, and with a protein boost from collagen, these bars can be a meal replacement in a pinch. The rich chocolate flavor is enhanced with a sprinkle of sea salt. Place all ingredients in a food processor and process until a ball forms, about 2-3 minutes. 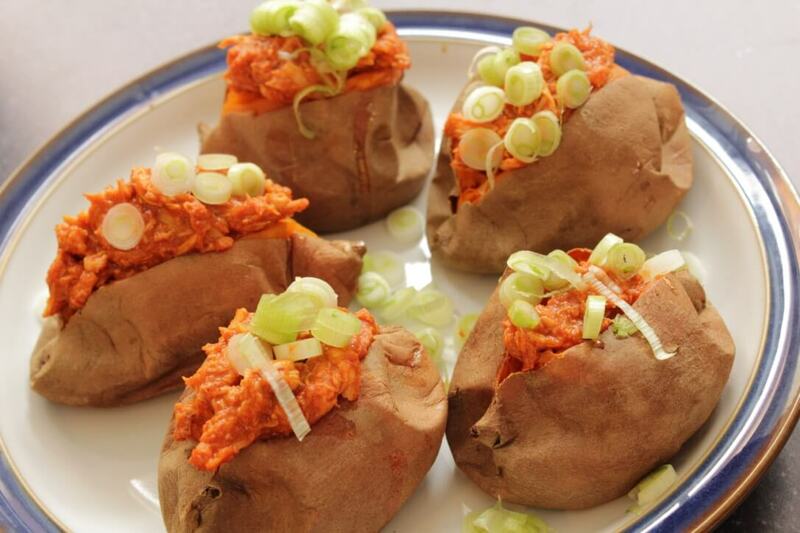 Keep a hand on your food processor as the dense dough can cause it to 'walk' on the countertop. Carefully remove blade, and then scoop dough onto parchment paper (find parchment paper here) to roll out. Gently pat into a rectangle shape. Roll to desired thickness (I like a little less than 1/2-inch) between two sheets of parchment paper. Remove top sheet of parchment paper and flip onto a dehydrator tray. Dry the whole sheet of protein bars for 6-12 hours or overnight on high, until no longer tacky. You can skip this step and go straight to cutting into bars, but it's easier to cut into even bars after drying for a little while. After no longer tacky, allow sheet of dough to cool for 30 minutes to firm it up. Then flip onto a large cutting board and cut into 10 even rectangles and return to dehydrator tray. Dehydrate for another 4 hours or overnight, again on high, depending on how hard you want your bars to be (longer drying time yields more firm protein bars). Bars will firm up again when they cool. Store in an airtight container in the fridge for up to 1 month. These will hold up fine at room temperature for camping, hiking, etc. This recipe makes 10 bars, but I usually only get 8 rectangle-shaped bars, after trimming the edges of the dough to make a rectangle. My kids love these 4 strips from the outside as well, they're just not exact rectangles. Hi Julie, you can! I just like the coffee flavor :) You can make the Cocoa and Sea Salt Bars (recipe here). What temperature do you dehydrate these on? As always, thank your for the innovative ideas; there are many of us moms who need people like you. 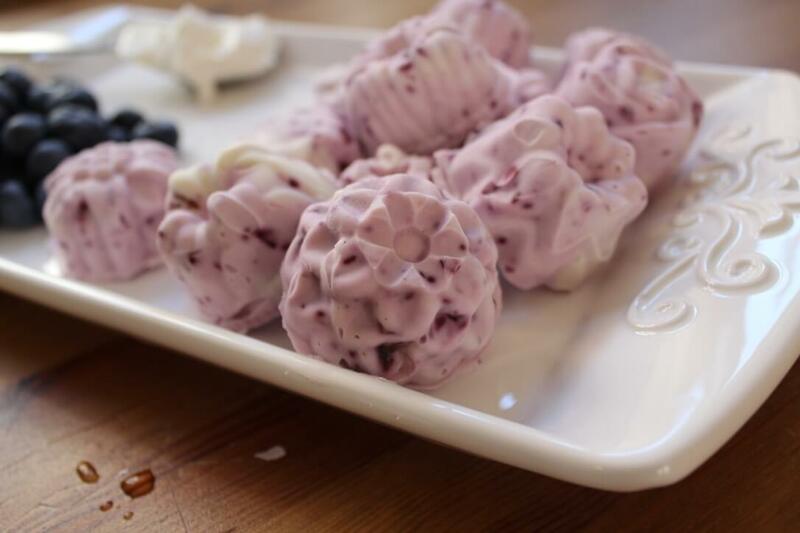 The collagen vs. gelatin: I’m tempted to just use my gelatin which has collagen in it, but then again I may have to use it powdered…. Hi Julia, I think if you use gelatin the bars will be weird when you chew them. I’m not sure, though, so if you try it can you let us know how it goes?